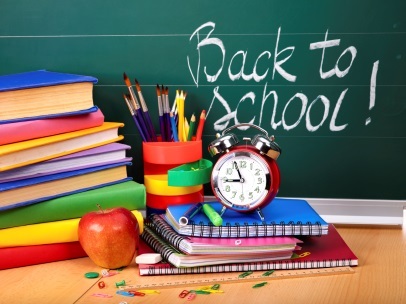 It’s back-to-school time, and Dr. George Sanders is going back to the basics. In this post, the Los Angeles plastic surgeon answers some of the most common questions he receives about body contouring treatments, which are designed to produce a more flattering and attractive body shape. What can I do about loose, saggy skin on my torso or lower body? If you have had weight loss surgery or lost a significant amount of weight through diet and fitness efforts, you likely have some loose, saggy skin. Unfortunately, the skin will not respond through traditional weight loss methods — it must be surgically treated. Dr. Sanders offers several procedures to target different areas of the body. Thigh lift removes excess skin from the upper thighs, giving them a firmer and smoother contour. Arm lift eliminates loose upper arm skin to create a better contour. Lower body lift eliminates loose skin from the back, sides and front of the lower abdomen for a tighter torso. I am at my goal weight, but have stubborn fat on a specific area of my body that will not budge. What do you recommend? Liposuction is the gold standard for removing targeted pockets of stubborn body fat. The fat removal procedure can treat the abdomen, hips, thighs, buttocks, back, upper arms and even smaller areas like underneath the chin. Liposuction can also be incorporated into other body contouring procedures. For example, liposuction is used during tummy tuck, a procedure which comprehensively removes excess fat and skin and repairs damaged abdominal muscles. Also, liposuction is a common component of male breast reduction surgery, which is performed for men with excessively large breasts (a condition known as gynecomastia). How long do I need to take off of work for body contouring surgery? It depends on the procedure, but you should expect to take about two weeks off of work to recover. If you have a more physically demanding job, you might need to take additional time off work. What will my recovery from body contouring surgery be like? Initially, your energy levels and range of motion will be limited. You will have temporary swelling, soreness and bruising. Any strenuous or vigorous activity must be avoided, including bending and lifting. As your body gradually recovers, you will gain more strength and energy. It typically takes about six weeks to fully recover from surgery and return to all activities, including exercise and socializing. How can I ensure great results? The most important thing you can do for successful treatment outcomes is to pick the right surgeon. You must find a board certified plastic surgeon that completed comprehensive training and has been practicing for many years. There is no substitute for real-world experience. In addition to meeting training and experience criteria, it is important to select a surgeon with whom you feel comfortable. Ideally, you should feel free to communicate your desired results clearly, so your surgeon understands your expectations and can deliver. To meet Dr. Sanders and discuss your body contouring options with him, please call (818) 981-3333 today and schedule an appointment.